ABAVUKI are a powerful African Jazz outfit from Langa, Cape Town and have been playing their infectious afro-beat marimba grooves since 2001. 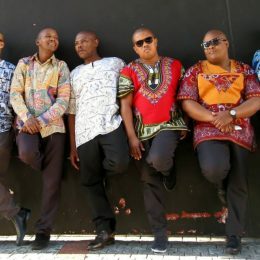 The eight members in the group, all multi-instrumentalists, are influenced by kwaito, samba, jazz and traditional rhythms, which they translate within a modern format, using marimbas, percussion and brass instruments. 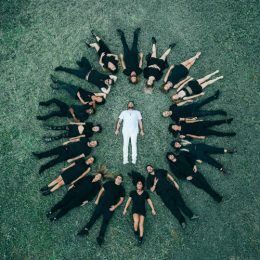 The Xhosa name “abavuki” means ‘Wake up, early birds!’ and this attitude is palpable in Abavuki’s high-energy, uplifting music that not only reflects their youth, but their optimistic outlook on life and their approach to music-making. Their vibrant reinterpretation of marimba music, with overlaid brass instruments, is a funky addition to the genre, and resounds because it is testimony to the resilience of South Africans and the redemption the country has found in music in its path to reconciliation. Born in the mother city, His roots and home town Bonteheuwel. DJ Ashton Abels is one of SA’s most naturally gifted Djs and producers. The Capetonian is a music scholar who’s established himself as one of the true leaders of the South African music industry. 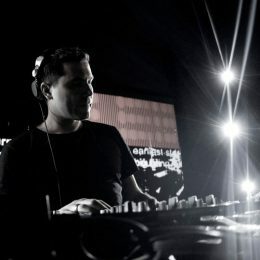 His passion for music traces back to when he was only 7 years old experimenting with cassette players and turntables, and his unmatched level of skill eventually earned him the reputation of being a ‘technical genius behind the decks’, and has made him one of the most sought- after Djs in the country. 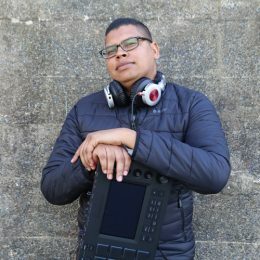 Back in 1998 Ashton Abels flips the script and earned a spot on campus community radio ( UCT RADIO 104.5fm ) playing radio slots around the clock from graveyard to afternoon drive which got him into his own Saturday afternoon dance radio show. With this show he flipped the standard of just being a normal radio dj to add dj skill behind the production of his show. 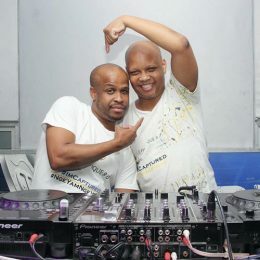 This show gave many local artist and deejays in and around Cape Town platform. With this show setting a unique trend to radio Ashton Abels was spotted by many other commercial radio station djs and night clubs around South Africa to play slots. 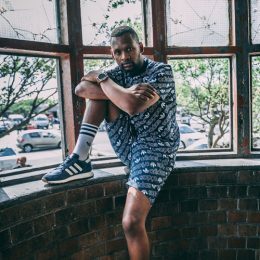 Back in 2010, his talent caught the attention of the legendary Tiesto, who invited him to be the opening act for his SA tour – an achievement many a DJ can only dream of, while some of the other big names Abels has shared the stage with include Steve Silk Hurley, Cut Creator and hip-hop icon Snoop Dogg. The ‘technical genius’ is the co-founder of Prestige Radio –an internal radio station initially created for factory workers of the TFG (The Foshini group), the station is currently being made accessible to the company’s call-center employees and eventually to all its stores nationwide. Ashton is a regular DJ on the popular Good Hope FM Saturdays from 20:30pm, entertaining listeners with world-class mixes. He’s also a resident DJ at Strolla in Cape Town -a stylish sundowner spot, perfectly located on Sea Point’s wind-free Platinum Mile and Manga on Mouille Point setting the mood with a ocean breeze. Despite all his success, the acclaimed DJ realises the importance of giving back, hence he’s foundedSomethingGoodSundays, a non-profit charity organisation that hosts events to feed the needy. These take place in Cape Town and Johannesburg to give up-and-coming musicians a platform to promote their work, while the money generated from these events is used to feed the less advantaged. FOSTA is the most prolific artist coming out of Langa in the Cape Town city, home of legendary musians. 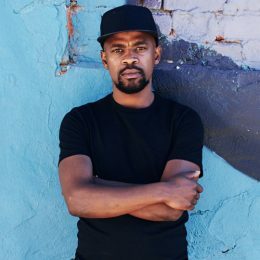 One of his very first self released song “KHULULA” produced in 2006 remained number one on South Africa’s biggest national radio station – 5FM – for five weeks and remains a firm favourite almost 10 years later. He produced 2 of the well received songs for Busi M “Ndanele” & “Ndidikiwe”. 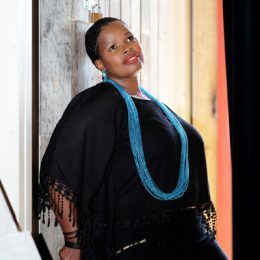 Due to high rotation of these songs on national radio, Busi M was one of the artists that opened up at the USHER concert at the Orlando stadium in 2012. Fosta collaborated with the Scotish artist Chris Develin to form Life Rhythms. In 2013 they worked with Lungiswa Plaatjie and produced the song “Mama” which was signed by label Peng Africa. In 2014 Fosta worked with American songstress MARISSA GUZMEN. GLASTONBURY FESTIVAL in the UK. He shared a back to back set with one the top producer/dj SKRILLEX at this same event at The Rabbit Hall. ADE (Amsterdam Dance Event). 2014 Headline at the Internationally recognised Festival SONAR Cape Town. 2015 LAKE OF STARS in MALAWI & hosted workshops in Blantyre & Lilongwe while in Malawi. 2016 Headlined BOILER ROOM CPT alongside international dj,s HENDRICK SWARTZ, FRED P, MOVE D, JULLIAN GOMES & KID FONQUE. Adam has regularly featured on festivals and parties worldwide in as diverse locations such as Japan, Mexico, Brazil, Belgium, Australia, Canada, Germany, USA, and his home country of South Africa – proving that he has what it takes to be a true international music star. Looking to expand his expression he has delved into the realms of all things techy and underground, showcasing a well tuned blend of hypnotic, progressive tech. With 16 years of Dj experience behind him, each set promises to leave you craving more. gatherings. As a respected producer, Romano consistently channels his past relationships with post-rock luminaries such as Godspeed You! Black Emperor, Tortoise and Fugazi into intricately-synthesised electronic constellations. Fine chef and restaurant owner, Tennis splits his time between Miami and Barcelona, where he enjoys riding motorbikes, collecting vintage action-figures and building upon his vinyl record collection – which now numbers over eleventhousand strong. DJ inviZAble and The Champions of the Sonarverse represents the ultimate battle between good and evil in a world not all to different from our own. Through his DIY mentality Aux Womdantso has built an online following of 9000+ on Facebook, and an incredibly loyal local fanbase in Cape Town. Since Aux WoMdantso began DJ’ing, he has performed alongside some of SA’s biggest acts such as Riky Rick, Distruction Boys, Black Motion, Frank Casino, DJ Sox, Rudeboyz and K.O. 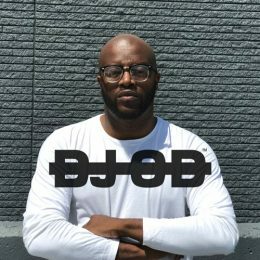 He has played both Red Bull Campus Tour and Red Bull Corner 2 Corner tour, played shows on radio stations like Bush Radio, Metro and 5FM and most recently performed his first Boiler Room. Aux WoMdantso is currently making bold moves into producing his own music and releasing collaborative tracks. His first single “Shona Phantsi” was playlisted on Trace TV, and his upcoming collaborative compilation is set to be released in mid-2018. DJ OD is a Cape Town born DJ/PRODUCER who is responsible for producing & co-producing a number of hit records on certified platinum selling albums (DJ Bongz’s Sthandwa sam album, DJ Sox House Party album), international hit single ‘I got your back’ ft Acclaimed International vocalist CHAPPELLE (I’m your friend & Please me fame), co-producing a string of Hit singles to playing at big shows & international festivals like the Cape Town Electronic Music Festival (CTEMF), Rocking the Daisies, Afrika Burn, Elrow South africa, Bazique Festival South Africa to name but a few, to being a MIX DJ for the Biggest Dance Music Show, ‘THE URBAN BEAT’ on METRO FM every 2nd Saturday for the from 2016 until Early 2017 . Most recently he’s released his latest Hit Single titled ‘WANDISHIYA’ which is already playing on every major radio station. The single peaked at #1 on The House Connect Top 5 on 5fm. Also he is currently a 5fm Mix DJ on The Uncut Mixtape show every friday nights 10pm & also co-hosts his own radio show on Internationally renowned Pioneer Dj Radio Every Monday @ 14H00 CET. 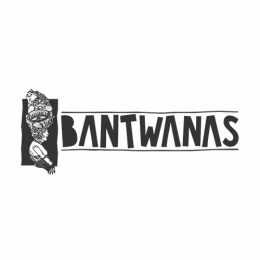 Bantwanas, meaning children, of Africa, is a collective of African producers, songwriters and musicians collaborating to showcase their music by bringing top‐quality African house music to the world. 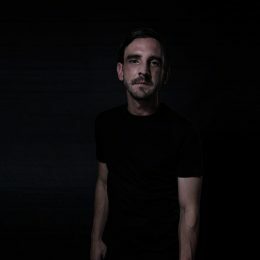 Launching in early 2016 charter member Ryan Murgatroyd has been paving the way for new African sounds in European markets, opening the gateway creating a real African presence in the international Deep House and Techno scene. 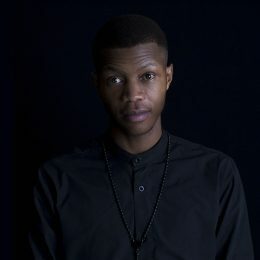 Ryan’s prodege, Blanka Mazimela has also played a large part in the creation and development of Bantwanas with his knowledge and background of African music and fine ear for instrumentation. Bantwanas showcases raw African talent both locally and abroad, developing emerging talent, and pairing these artists with prolific and established producers that pioneer the African electronic sound. Bantwanas is a way to share African culture and music to the world, opening a channel that gives a global voice inviting the audience to connect with African culture through our music, while manipulating authentic African instrumentation. Known for his humbleness and focus, Dj LuyaR is a Cape Town based Hip hop DJ who specialises in Local and international Hip Hop. He started deejaying back in 2010 playing house music inspired bythe legend Dj Kent. His end goal was to be featured on a National radio that has now come to life as he is featured on 5fm. His persistence and talent led him to be one of the finalist on “So you think you can Dj” on 5fm in 2013. From there he started to believe more in his talent and ability to communicate with thousands through music and it became rewarding as thousands of people started to respond to his talent. LuyaR remains dominant because he believes in his Moto – “Play for the people”, and its because of this, that his supporters fell in love with his music and deejaying techniques. 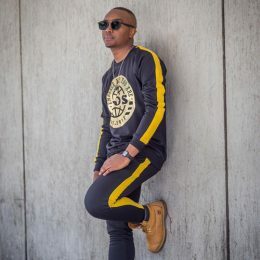 He started appearing on National television, getting featured on multiple Radio shows and holds more residential roles in most of Cape Town’s biggest events. His first television debut was in 2015 on Hectic Nine9 and later got featured on the Expresso show on SABC 3. His first Radio debut was with Goodhope FM , he was featured on #thedriveshow and later became a resident DJ on Touch HD. With a huge demand of his music he then moved to 5fm on #theuncutmixtape as a resident Dj every Fridays and managed to secure a residency at Kwa Ace and Coco. LuyaR is a brand that continues to grow immensely as he lives up to his motto at all times and that being to “Play for the people”. TP nala PISCE is a Cape Town based fearless duo DJ’s who specialises in all genre of music be it House Music, Commercial, RnB, Hip Hop, Kwaito or Mid tempo. We depended on our customers on what music we play as we put our customers at centre of our business. We play from urban city to local cape flats – bringing different vibes to cater for the customers. Our strength lies in many years of experience we both bring in the entertainment industry: TP Hosting events and promotions. Marketer. Manages premium venues. Pisce DJ and Events, Marketing Promotions. Producing music under his brand R.O.A.R. 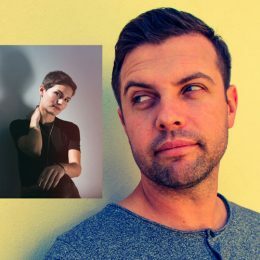 With sophistication and journeying through intention, Craig and Pixie have woven a vision of wisdom through sound, technology and movement in their similar walks on the path. Craig (Shacido) brings a quiet force of influence. 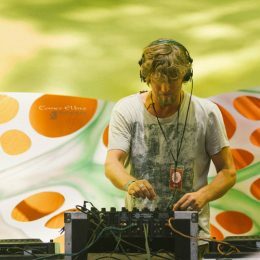 An accomplished DJ and VJ, he is a light force for many iconic events and has pioneered visual art elements together with his creative partner in the “Afterlife Visual” duo, Wayne Ellis. His easy going creative nature, and shy but confident attitude colour his art of sounds. Sharing the stage together in a fusion of styles, the dinky dynamite Pixie (Px) partners up with Shacido for an emerging live harmony. 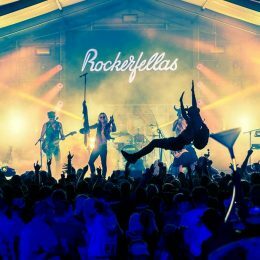 Fashioned in a jazz, house and a pop rock background, Pix has moved in expressions of freestyle dance and vocals through local and international stages, festivals and events for 18 years. Firmly rooted in the urban hearts of township house heads through her collaboration with DJ Whiskey in “City Lights” and Ultratone’s blending of “Shapeshifter”, Pix is a bridge between cultures and interests. She is well loved by South African commercial music seekers too. This was after her rise to top 7 position in the weird and wonderful Pop Idols TV reality show on Mnet in 2010. Wisdom of words and the evolution of expression. Love in intent. Born out of the Cape Town music scene, Sacred Sun is a powerful union of music lovers and producers who have come together to showcase deep techno, rhythmic and tribal sounds. 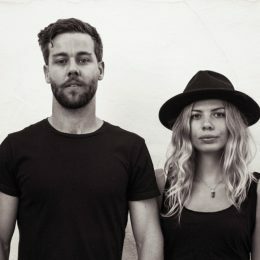 Influenced by the sounds of by the sounds of Britta Unders, Blond:ish, Mira and Chris Chris Schwarzwalder, the pair aim to play and create these lesser played sounds in Cape Town. 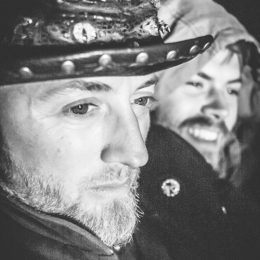 The two share their passion for bringing people together through music and using music as a story telling medium. Sacred Sun believe in the idea that music can take people on a journey and can be a powerful tool to connect one another. 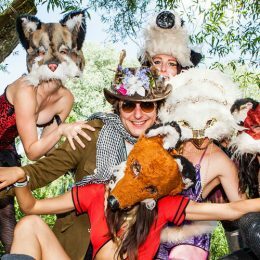 Sacred Sun enjoys playing for like minded people, who can live authentically and express themselves through music and dance in a non-judgmental way. They are sure to make you move, feel and connect. Meaning: “calm and peaceful,with little movement or activity”. As far as DJ names go this one might describe Craig’s personality, but when it comes to his music, it’s completely contrarian. Over a career spanning 12 years Craig Placid has created a sound that’s best described as deeply complex, evolving techno, characterised by hypnotic rhythms and driven by multi-dimensional beats. This might have something to do with the fact that at 13 he taught himself to play the drums, and they remain one of his passions even today. When he DJ’s however he’s all about taking the crowd on a journey. And his favourite part of the whole experience is “being able to create the soundtrack to someone’s night, presenting them with a selection that could essentially change the way they think about dance music”. It’s a lofty ideal, but one that one that he’s entirely able to deliver on. If you’re looking for proof, look no further than TOYTOY on a Friday night. 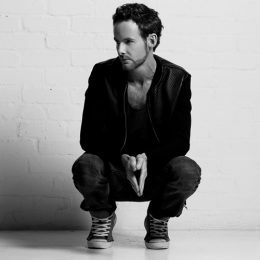 As one of their resident DJ’s he’s helped the brand establish itself as one of the premier underground dance music nights in South Africa. The Fogshow is a duo consisting of David Ireton & Nick Shepherd. 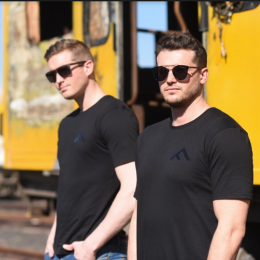 They have been at the forefront of the South African Techno scene for years having played at every big festival in South Africa and tours in London, NYC and Mauritius. Expect a high energy set filled with interesting bass lines and a unique Cape Town style of Techno. The A Side, a re-edit of the 1981 disco song Town by Minako Yoshida, saw such success that LGL invited the boys back for two more records the following year, numbers 19 and 22. The honchos at Mule quickly knew they were on to something special and welcomed Marvin and Guy back yet again to remix Eddie C’s La Palette, a track taken from the slo-mo king’s last LP. This time they were elevated to the Endless Flight label. Waaaay across on the other side of the world the (based) pair began to gain the attention of decadent New Yorkers, adding a fifth release to their growing discography, with Jacques Renault’s On The Prowl Records. Trip forward to February 2015 and Dance Abilities on L.A. based label Young Adults was released. This quickly gained support from DJs who like their dance music served raw, emotive and song-like, think heavyweight division fighters like Pachanga Boys, Ivan Smagghe, Roman Flügel, DJ Tennis and Jennifer Cardini. With this in mind it was only a matter of time before the phone rang and it was John Talabot on the line. Egoísta soon arrived on Hivern Discs and to put it simply was a hit in every kind of club all around the world. 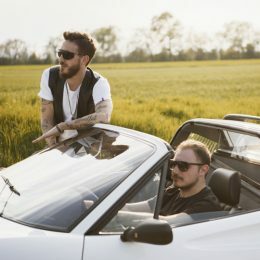 In their spare time the boys have been honing their talents as remixers, with many labels singling them out for their signature swaggering sound. Meanwhile in the DJ booth the Marvin and Guy have been taking their talents global, their ability to spin through from disco to techno setting tongues to talking and hips to shaking. When you ask what kind of music they play the answer will always be “Groovy Techno”. These two K-fighters are totally on duty grinding. Lectric Licks is a live/dj act duo by Snake SA and Gerry Liberty. With a passion for live and electronic music they wanted to come up with a new fresh sound. Lectric Licks plays deep house and melodic techno infused with live electric guitar, keys and synth licks. 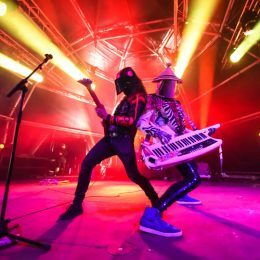 Their sound come as a combination of smooth and powerful guitar & keyboard licks with some touches of cinematic sounds and powerful synth leads inbetween. In a short space of time this duo’s sound has proven to get people smiling and dancing in no time!